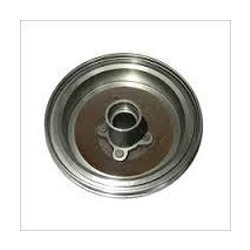 We are the well-known manufacturer and supplier of a wide array of Three Wheeler Rear Hub. The given product can be availed in bulk quantity with numerous sizes. This product is used in automobile devices as a spare part. Our product is designed by utilizing finest material & leading techniques in conformity with the set standard. The provided product is inspected on varied quality parameters before supplying to clientele.